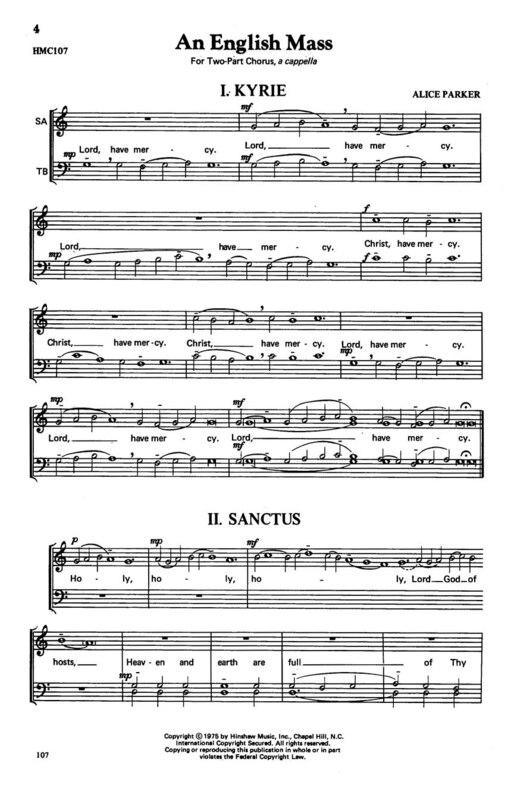 Simple setting of the short form of the mass: Kyrie; Sanctus; Benedictus; and Agnus Dei; with the addition of a response; and a benediction. It uses the approved translation of the Latin text; and is based musically on the legato sound and free rhythms of plainchant. May be performed by any combination of voices; or even a solo voice and answering unison choir.